Scrappy Information Security � for those who care about the security and privacy of their online information. 3) Believes that crime is crime, it should be stopped, and wants to know what concrete steps he or she can be take to reduce cybercrime and minimize its impacts and that should be everyone. The Internet, like Elvis, is everywhere. It is in our homes, our places of work, our phones. Unfortunately, cyberspace is teeming with bad people who want to steal our identities, pilfer our corporate secrets, get their grubby little fingers into our online wallets, and -- to add insult to injury -- latch onto our PCs to perpetuate their crimes. Modern corporations do their best to hammer home the message of security through training, communications, and outright begging. The message often falls on deaf ears, not because employees want to make their workplaces unsafe, but rather, because the topic is so complex and wide-ranging that it simply is overwhelming. As an information security professional, it is my charge to make the online world safer for all of us. None of us tolerates a crime spree in our neighborhood. Likewise, we should not tolerate the current crime wave that is sweeping the Internet, one which truly threatens to stifle the e-commerce and e-communications that we have come to know and rely on. They say a little knowledge is a dangerous thing. I agree. People need more than a little knowledge to be safe online. They need to understand how encryption, the Internet, and wireless work so that they can put the pieces together -- literally like a jigsaw puzzle -- to reveal the image of a more secure online world. It is my goal to craft those pieces in such a way that the average reader will understand these technologies, and therefore understand how to apply them to both their corporate and personal cyberselves. This book should be read by anyone who cares about the security and privacy of their online information, and wants to know how to take steps to protect it ... and that should be everyone. This book should be read by anyone who wants to "do the right thing" and ensure that they do not inadvertently compromise their employer's, or their own, sensitive information ... and that should be everyone. 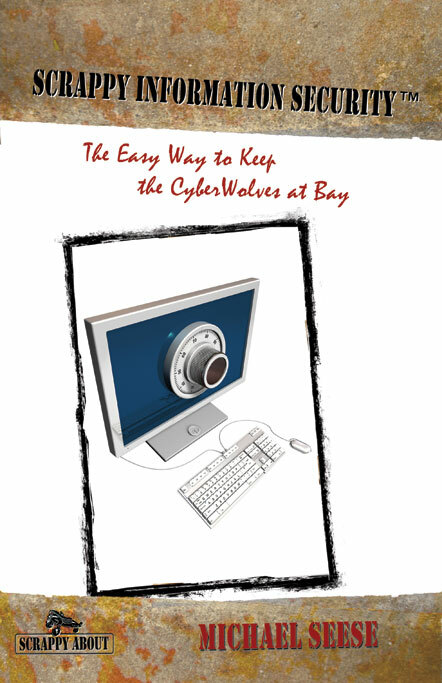 This book should be read by anyone who believes that crime is crime, it should be stopped, and wants to know what concrete steps he or she can be take to reduce cybercrime and minimize its impacts ... and that should be everyone. Read the IT Knowledge Exchange book review. 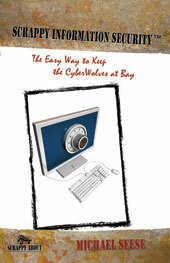 Read the book review on the Security Management website. Michael Seese, CISSP, CIPP, is an information security, privacy, and business contingency professional in beautiful Chagrin Falls, Ohio. He holds a Master of Science in information security, which was earned completely online via a very cool synchronous and interactive curriculum, and a Master of Arts in psychology, which tends to scare people. He began his career as a journalist, and then moved into technical writing, which piqued an interest in programming, which after all is nothing more than another form of writing, using a more limited and concise language. Then one day, standing in a local bookstore and surrounded on three sides by programming books, covering C++ and C-sharp and .NET and ASP, he had an epiphany: programming languages come and go. Guess wrongthat is, specialize in the flavor-of-the-last-monthand some college fresh-out will take your job, and probably do it better. But the need to store data and protect data will remain and, in fact, grow. That realization led to his current career track. Michael regularly speaks at conferences, has had numerous articles published in professional journals, and contributed two chapters to the 2008 PSI Handbook Of Business Security. He is the co-author of Haunting Valley, a compilation of ghost stories from the Chagrin Valley. Michael also penned (or, better said, e-penned) the twin books Scrappy Information Security and Scrappy Business Contingency Planning. He currently spends his limited spare time rasslin' with three young'uns, and can be reached between matches at scrappy@MichaelSeese.com.